How crazy that they didn't just "beat you at your own game..."
1 - Tweet to you - "Hello Wayne, apologies for your experience today. We'd love to see you back at the restaurant again." 2 - Oh, they've got your attention now, maybe you respond. 3 - Then there's a DM exchange, followed by an invite for a chef's table event or some such. 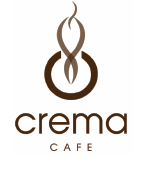 4 - Public niceties ensue - you say stuff like "The staff @cremacafe really treated us well today!" Or they could just try subterfuge. maybe they dont want to see you again... thats the point! it is so hard to get a table at crema cafe on a friday for lunch so hopefully a few people who have no idea about real food and what makes a great restaurant listen to this rubbish and dont go, it just means more room for me and other people who respect the training that a chef undergoes and order what the chef creates, without being a twit(ter) about it! You removed ingredients from a dish and then complained about it?